Published by Mountainblog on 08/22/2018 . 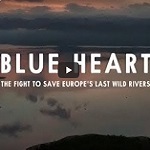 Documentary is a focal point of the Save the Blue Heart of Europe campaign to protect the Balkan region from 3,000 proposed hydropower projects. Patagonia’s 2018 documentary film, Blue Heart, depicts the fight to protect Europe’s last wild rivers and brings international awareness to a potential environmental disaster in Europe. It is being released globally on iTunes and other streaming platforms as a centrepiece of the hugely successful Save the Blue Heart of Europe campaign. 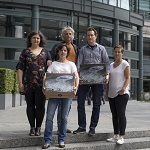 To date, the campaign has gathered over 120,000 signatures that have been delivered to the European Bank for Reconstruction and Development headquarters in London, to protect the pristine Blue Heart river system from a tsunami of proposed dams. The feature-length documentary film launched at an outdoor public screening on the side of a disused dam in Bosnia & Herzegovina in April 2018. It is currently being screened at film festivals and events around the world, from Europe to USA, Japan and Australia. Created by Patagonia, Blue Heart was directed by Britton Caillouette (Farm League) and features music from Andrew Bird. The film is a powerful moment in the larger ongoing effort to raise global awareness for the Save the Blue Heart of Europe campaign, in partnership with NGOs and groups from the Balkan region. In the film and throughout the campaign, Patagonia asks people to act now and sign an online petition to put pressure on foreign developers and banks, who are funding dam-building projects, including within protected areas. The film is now available, globally, on streaming platforms including iTunes, Amazon Video, Google Play and Sony PlayStation.